A startup company based on technology invented at Duke University is working to make blood glucose measurement as easy as exhalation—and end the need to draw blood. The idea is the brainchild of Ryan McCormick, a recent PhD graduate from Duke’s Department of Computer and Electrical Engineering (ECE), who spent the past five years working on the underlying technology as his thesis. Working in the laboratory of Adrienne Stiff-Roberts, an associate professor in ECE, McCormick developed an organic deposition technique called RIR-MAPLE that can produce a thin film with a rough surface that acts as a sort of Velcro for volatile organic compounds. Although his initial focus was on optoelectronic applications like organic LEDs or solar cells, McCormick quickly realized that his innovation would be well-suited for picking out organic molecules from gases. When the human body is incapable of creating insulin, it turns to several different processes to control glucose levels. One of these reactions breaks down fats in the body, creating acetone. While acetone levels and glucose aren’t directly tied, McCormick believes he can use it with a handful of other biomolecular markers to make a direct correlation between the chemical composition of a person’s breath and the amount of glucose in their bloodstream. It is an intriguing idea that has gained support from the ECE department through the Duke Engineering Entrepreneurial Pipelines Startup Entry Accelerator—or DEEP SEA for short. Launched this year, DEEP SEA is a startup competition that provides up to $75,000 in funding along with mentoring and connections to the entrepreneurial community. The team is expected to create a prototype of their concept and develop a business plan that prepares them for the next stage of investment. The brainchild of Andrew Hilton, assistant professor of the practice and managing director of graduate studies for ECE, Chris Dwyer, associate professor of ECE and Jeff Glass, professor of ECE and Hogg Family Director of Engineering Management & Entrepreneurship, the only requirement is that the team must include at least one ECE graduate student. DEEP SEA puts recent graduates with a great idea together with two faculty mentors—one for technology and one for business. 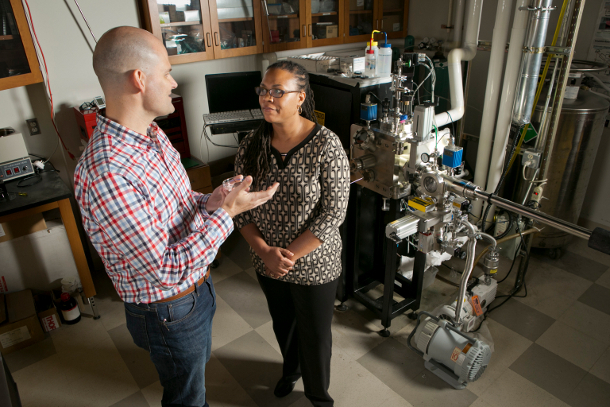 McCormick’s technology mentor is his PhD advisor, Adrienne Stiff-Roberts. His business mentor is Kevin Wright, an adjunct associate professor in Duke’s Master of Engineering Management Program, which provides early-career engineers a tech-savvy alternative to an MBA. McCormick has also received business insight from the National Science Foundation’s Innovation Corps program, which he describes as a “business boot camp for engineers.” During the three-month program, participants present weekly updates on developing a business plan by trying to find customers before starting the business. The insights gained were invaluable to McCormick and his team, who thought that pricking the finger was the biggest problem for diabetics monitoring their glucose levels. 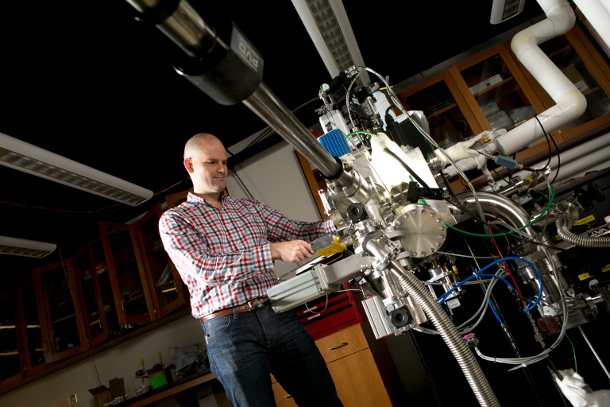 McCormick and his team are currently working out exactly which molecules they need to monitor to get an accurate glucose reading from a person’s breath. 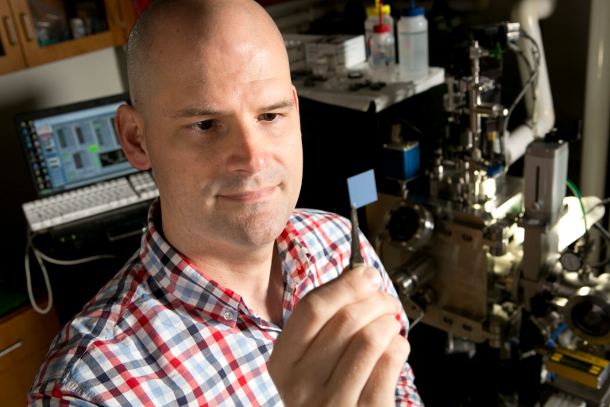 Depending on how few they can focus on, their sensor could be as small as a single square centimeter. 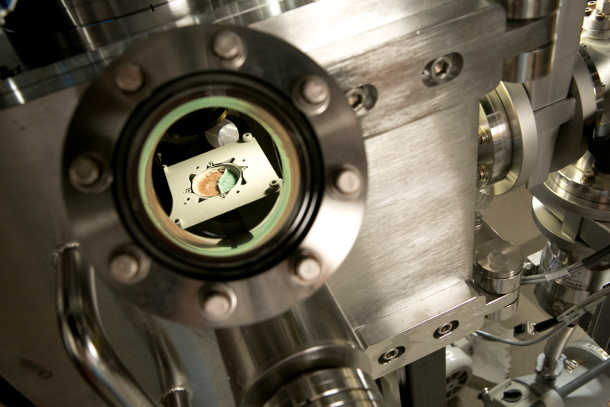 At that size, the sensor could be integrated into a small Bluetooth-capable device with its own app. “If we could make something similar to an asthma inhaler that you simply blow into and it delivers your glucose levels to your phone, we think we could find a big market for that,” said McCormick.